Artists, and especially photographers, have always been fascinated by the scandalous "Madame X", one of Sargent's most famous portraits, and the one of which he wrote in a letter when he sold it (c. 1917) to the NY Metropolitan Museum of Art, "probably the best thing I've ever done." 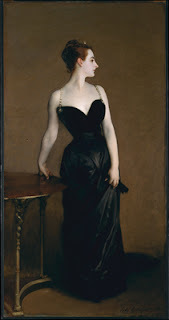 And then, just this morning, I came across this delicious new take on Madame X. It's featured on a website of an artist, James Kinser (http://www.jkinser.com/more-muse-a-portrait-of-madame-x/madamex-duo), working with photographer Niki Gangruth, who together deftly and brilliantly explore the "rich, undefined land between genders" in a project they call "Muse". 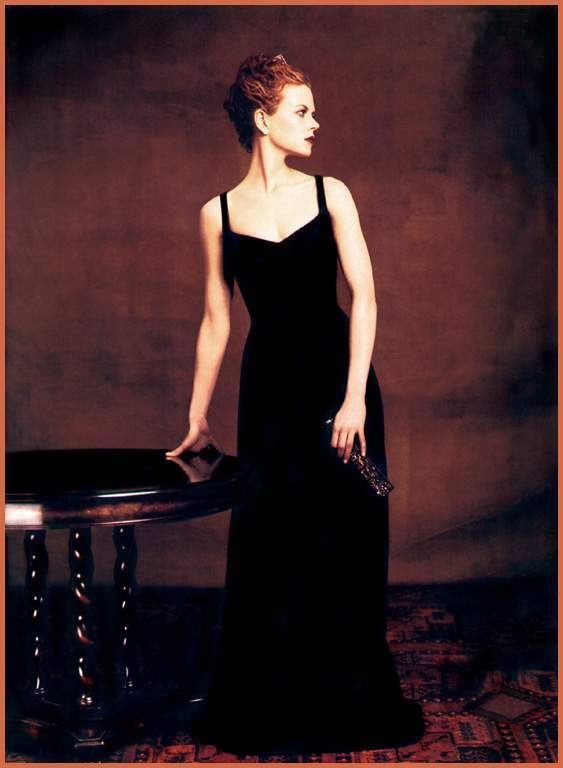 There are several other re-visioned famous portraits (Vermeer, Ingres, Magritte) that are well worth seeing. Again, the pose doesn't exactly duplicate everything, especially that twisted right hand, but I think this one has more of the cool serenity of the original. 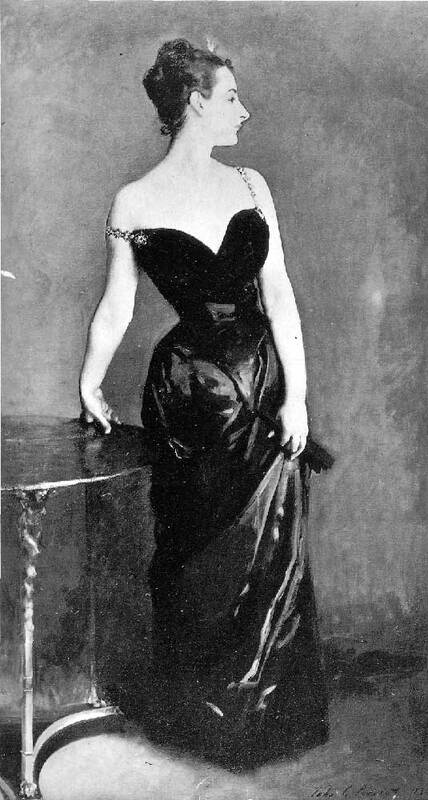 There was, in fact, a strong undercurrent of "gender-bending" at the end of the 19th century and a little beyond (think Oscar Wilde, Aubrey Beardsley, Toulouse Lautrec); Singer Sargent and the crowd he ran with were kind of on the experimenting edge of this kind of "new world." The Palazzi Barbaro — also known as Palazzo Barbaro, Ca' Barbaro, and Palazzo Barbaro-Curtis — are a pair of adjoining palaces in the San Marco district of Venice, on the Grand Canal, originally built in 1425 and 1465. After the Barbaro family died out in the middle of the 19th century, the Palazzo was bought by a series of speculators who auctioned off furniture and paintings. In 1881 the older palazzo was rented by a relative of John Singer Sargent, Daniel Sargent Curtis. Daniel’s son Ralph was one of John’s best friends, and they were art students together in Paris. Daniel and Ariana Curtis purchased the Palazzo in 1885, and repaired and restored the Barbaro and hosted many artists, musicians, and writers. 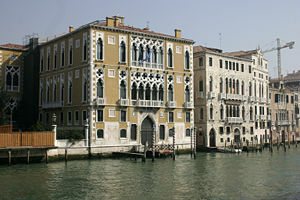 Palazzo Barbaro became the hub of American life in Venice with visits from Sargent, Henry James, James Whistler, Robert Browning, Claude Monet, Isabella Stewart Gardner, and Edith Wharton among them. Henry James finished his novel The Aspern Papers in Palazzo Barbaro at a desk still housed in the palace today. James included a description of the Barbaro ballroom in his novel The Wings of the Dove. 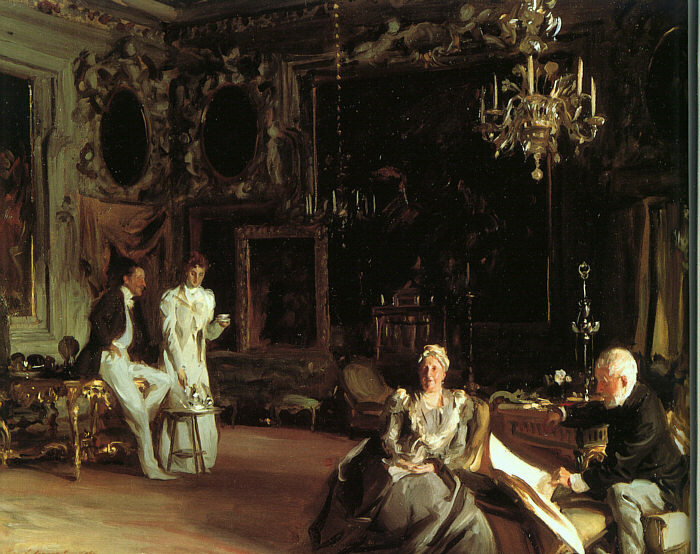 In 1898, John Singer Sargent painted An Interior in Venice (above), a group portrait of the Curtis family in the salon. 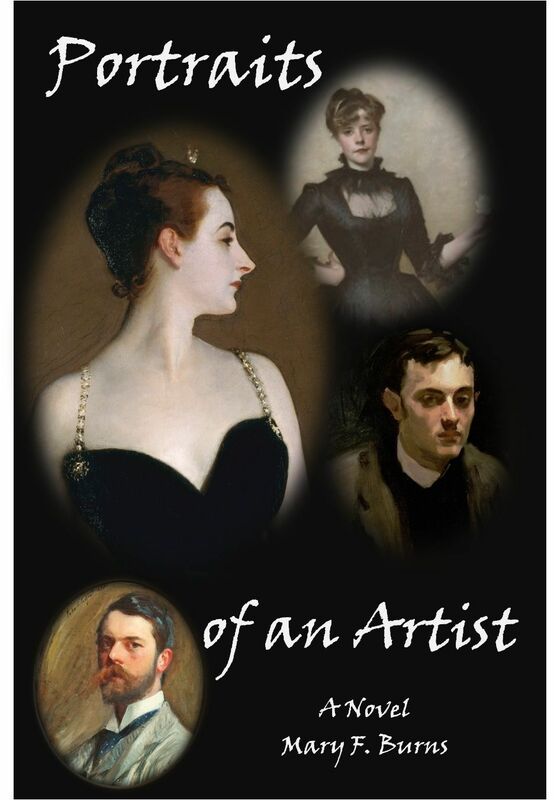 On the right, seated, you can see "dear, brutal Ariana" Curtis (as Violet Paget wrote of her in a letter) with her husband Daniel in the forefront, and Ralph and his wife in the background. Isabella Stewart Gardner used the Palazzo as a model for her house (and ultimately museum) in Boston. Palazzo Barbaro was used as a location in the 1981 Brideshead Revisited TV series adaptation as the home of Lord Marchmain (Laurence Olivier) and his mistress; it was also used as a location in the 1997 film adaptation of The Wings of the Dove. The Palazzo has recently undergone a full aesthetic and structural exterior restoration.